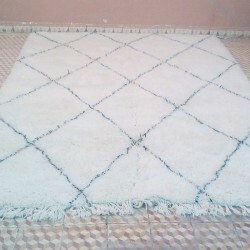 The Beni Ouarain quality rug ! The Beni Ouarain home design ! 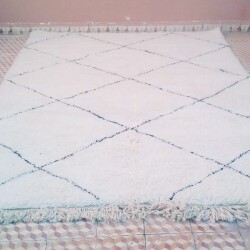 Home made Woollen Beni Ouarain carpet of Morocco 280 x 205 cm. 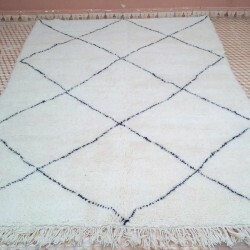 Morocco woollen hand loomed Beni Ouarain rug 210 x 310 cm. 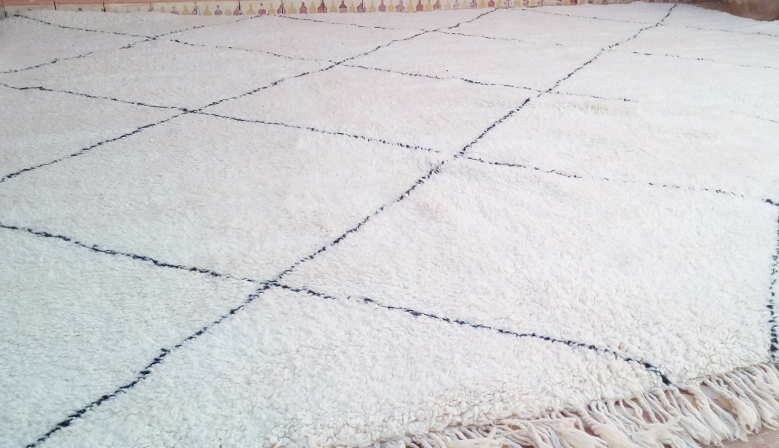 Beni Ouarain carpet of Morocco 200 x 300 cm hand made with black and white natural wool. 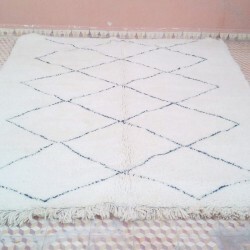 Berber Beni Ouarain carpet of Morocco 205 x 290 cm. 100% natural wool - Home made carpet. Large Beni Ouarain rug 380 x 250 cm hand knotted in Morocco. 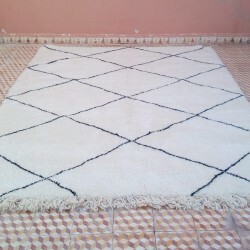 Chose to buy a Beni Ouarain rug from the market place of Marrakesh, so enjoy the legendary charm of these Morocco rugs. Large Berber Beni Ouarain rug of Morocco. 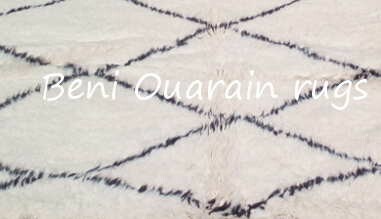 A Beni Ouarain rug of more than ten square meters with its sizes of 430 x 310 cm. The rugs are shipped upon receipt of payment. via Chronopost International, and delivered within 24 to 48 hours. Please, feel free to contact us by phone about our Moroccan rugs. Call us to 00212 639 325 654. 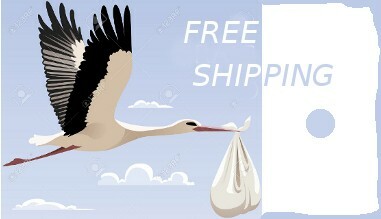 We accept bank transfer, by now, and Credit Card in few weeks. 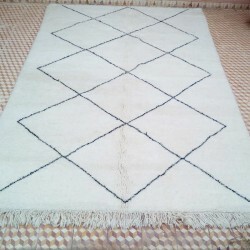 Rugs offered in our store are all had made by Berber families in Morocco. We work directly with the Berbers, thus avoiding intermediary remuneration. 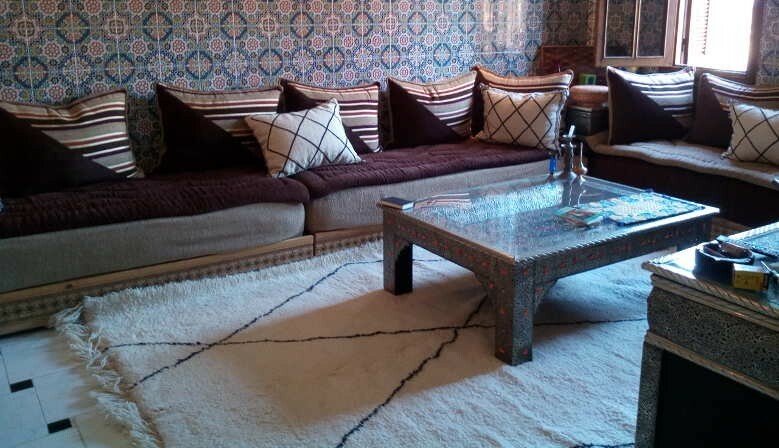 This operating mode guarantees very competitive prices while offering true Moroccan rugs of the highest quality. 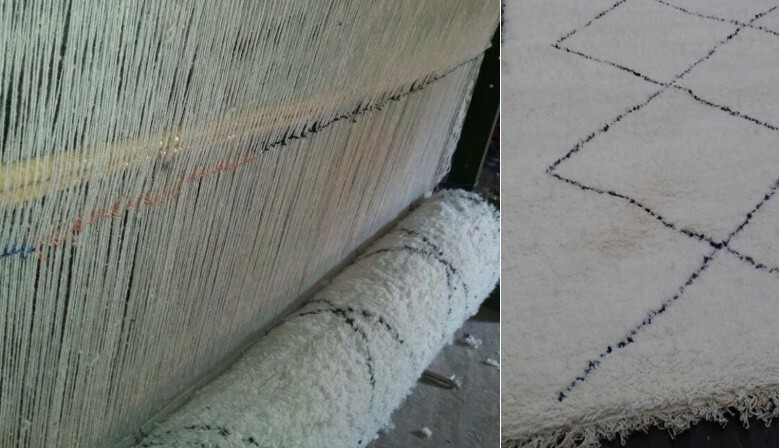 The rugs are made with sheep wool, sometimes in lambswool. All dyes are obtained from natural dyes derived from plants, such as rose madder, indigo blue, sunset yellow saffron or green mint. For centuries, Berber women are knotting tribal rugs in rural areas in Morocco. This activity is one of the most important for a Berber family. The only way to earn money in rural areas is to have pastoral activities with some sheeps and goats. When a Berber woman makes rugs, she can help her husband to buy all they needs. Sometimes, the woman earns more money than her husband. That's why the Berber women have a such prestigious aura. 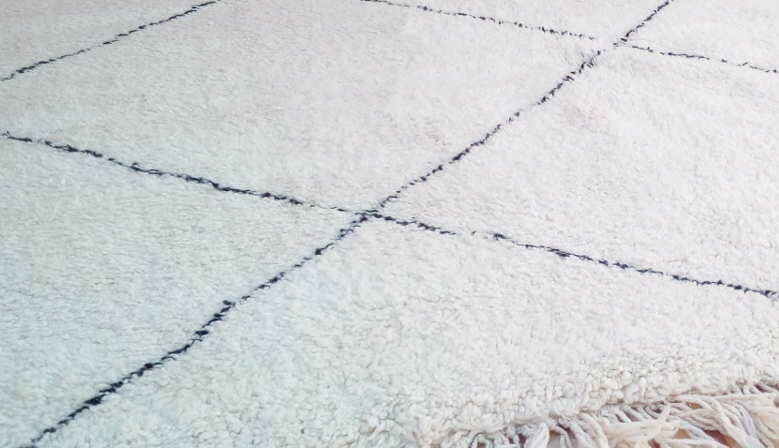 In addition, making rugs allow the Berber women to write its own story and personal feelings with Berber symbolic shapes. 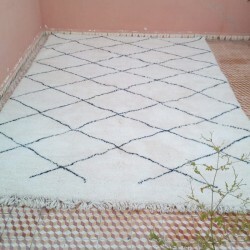 The most part of Moroccan rugs come from rural areas. 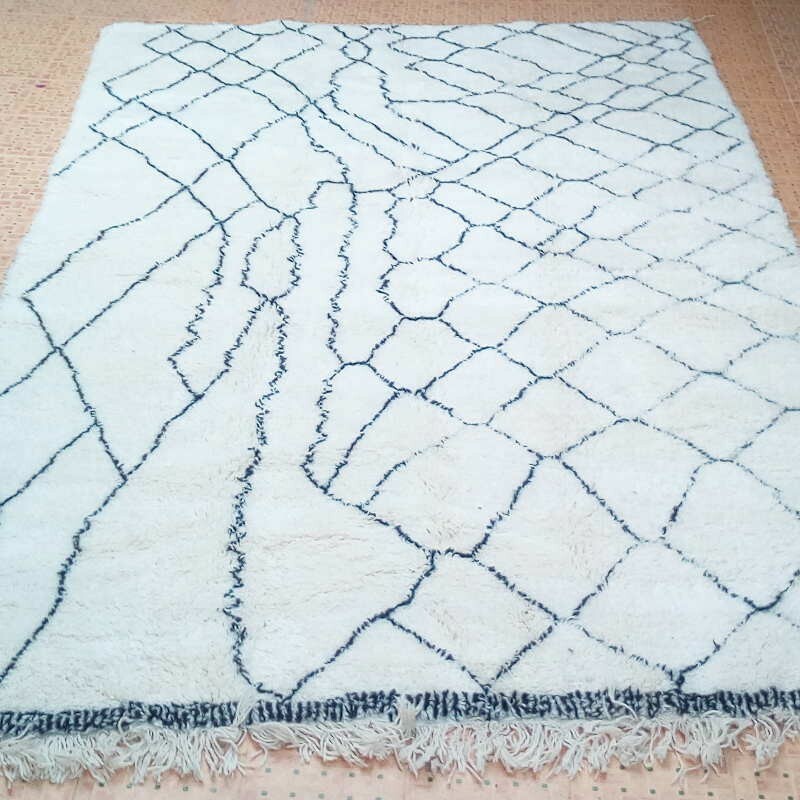 Here, we provide Berber tribal rugs home made in rural area. 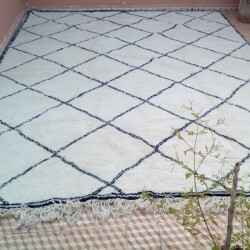 You will find Beni Ouarain rugs, Taznakht rugs and also rugs from the Ourika valley near Marrakesh.